de relações feitas por pessoas e ideias é criado, procurando sempre alcançar novos horizontes. Como prémio espacial “Artista na Galeria”, o Prémio Arte Laguna criou um formato de colaboração com galerias internacionais dando-lhes a oportunidade de entrar em contacto um vasto leque de propostas artísticas seleccionadas por um júri internacional, composto por dez especialistas em arte contemporânea, directores de museus e fundações, curadores independentes e críticos de arte, e escolher o artista com quem a exposição é organizada. every edition and every day a system of relationships made by people and ideas is created and it is always looking towards new horizons. 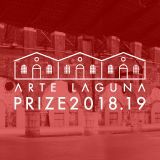 With the special prizes “Artist in Gallery” Arte Laguna Prize created a format of collaboration with international galleries that gives them the opportunity to view a large array of artistic proposals selected by an international jury, composed of ten experts in contemporary art, directors of Museums and Foundations, independent curators and art critics, and then to choose the artist with whom to organize a new exhibition. merecer a confiança de coleccionadores e artistas tem tido como consequência a multiplicação de espaços expositivos, bem como o significativo alargamento, quer nacional quer internacional dos artistas que representa. Pela mão da Galeria Fernando Santos, alguns dos mais importantes artistas internacionais, como Julian Schnabel ou Georg Baselitz mostraram, pela primeira vez, o seu trabalho em Portugal. E foi também pela mão da Galeria Fernando Santos que jovens talentos tiveram a oportunidade de expôr o seu trabalho num espaço privilegiado. O objectivo da Galeria passa também por tentar ser uma voz activa no cenário artístico português. Num tempo em que a arte é cada vez mais dispensável - devido aos problemas que a economia mundial atravessa - pensamos que é nossa responsabilidade levar até ao público obras de arte com valor e acessíveis e também. well as the significant enlargement, both national and international of the artists that it represents. By the hand of Galeria Fernando Santos, some of the most well known artists like Julian Schnabel or Georg Baselitz had their debut in Portugal. And by that same hand young and emergent talents had an opportunity to show their work in a privileged space. Our aim it’s also be an active voice in the portuguese art scene, since this is growing, especially in Oporto, city where the gallery it’s installed and where inspired other galleries to form the “Quarteirão das Artes”, a kind of Art District. At a time where art is increasingly dispensable - due to the problems that the world economy is facing - we think it’s our job show the public works of art that have value and are affordable. Alicia Eggert (1981) é uma artista interdisciplinar cujo trabalho se foca na relação entre a linguagem, a imagem e o tempo. O seu trabalho tem sido exibido em instituições com visibilidade nacional e internacional, entre elas o CAFA – Art Museum em Pequim; a Triennale Design Museum em Milão; o International Symposium on Electronic Art (ISEA2012) no Albuquerque Museum of Art and History; a iniciativa Sculpture By the Sea em Sidney, Austrália; o Artefact Festival em Leuven, Bélgica e muitas mais. As exposições individuais mais recentes tiveram lugar no The MAC em Dallas, Texas; na T+H Gallery em Boston, Massachusetts; na Harvard Medical School em Boston, Massachusetts e na Artisphere em Arlington, Vancouver. Alicia Eggert (1981) is an interdisciplinary artist whose work focuses on the relationship between language, image and time. Alicia’s work has been exhibited at notable institutions nationally and internationally, including the CAFA Art Museum in Beijing; the Triennale Design Museum in Milan; the International Symposium on Electronic Art (ISEA2012) at the Albuquerque Museum of Art and History; Sculpture By the Sea in Sydney, Australia; Artefact Festival in Leuven, Belgium and many more. Recent solo exhibitions have been held at The MAC in Dallas, Texas; T+H Gallery in Boston, Massachusetts; Harvard Medical School in Boston, Massachusetts and Artisphere in Arlington, Virginia. 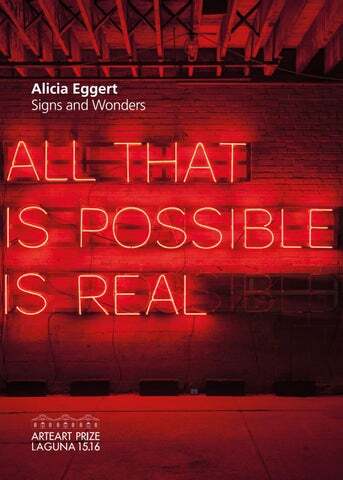 Alicia Eggert é também uma artista com vários prémios, incluindo a TED Fellowship, a Direct Artist Grant da Harpo Foundation, a Artist Microgrant do Nasher Sculpture Center, uma Individual Artist Fellowship da Maine Arts Commission e o Grand Prize na Dave Bown Projects Competition. A artista teve igualmente uma residência artística na Google Tilt Brush, Sculpture Space, True/False Film Festival e no Tides Institute and Museum of Art. O seu trabalho já foi destacado no The Washington Post, The Huffington Post e em publicações como Typoholic: Material Types in Design, Foundations of Digital Art and Design with Adobe Creative Cloud and Elements and Principles of 4D Art & Design. Alicia is the recipient of numerous honors and awards, including a TED Fellowship, a Direct Artist Grant from the Harpo Foundation, an Artist Microgrant from the Nasher Sculpture Center, an Individual Artist Fellowship from the Maine Arts Commission and Grand Prize in the Dave Bown Projects Competition. She has been an artist in residence at Google Tilt Brush, Sculpture Space, True/False Film Festival and the Tides Institute and Museum of Art. Her work has been featured in The Washington Post, The Huffington Post and in publications such as Typoholic: Material Types in Design, Foundations of Digital Art and Design with Adobe Creative Cloud and Elements and Principles of 4D Art & Design. em Sculpture/Dimensional Studies pela Alfred University em 2009. A artista ensinou desenho escultórico e arquitectónico no Bowdoin College no Maine de 2010-2014. Actualmente é Professora Assistente do Studio Art e coordenadora do Sculpture Program da Universidade do Norte do Texas em Denton. Alicia Eggert vive com o marido Mike Fleming e o filho de ambos, Zephyr, em Denton, Texas. in 2004 and a Masters of Fine Arts in Sculpture/Dimensional Studies from Alfred University in 2009. She taught sculpture and architectural design at Bowdoin College in Maine from 2010-2014. She is currently an Assistant Professor of Studio Art and the Sculpture Program Coordinator at the University of North Texas in Denton. She lives with her husband, Mike Fleming, and their son, Zephyr, in Denton, Texas. das faces e “then” na outra, dividindo assim, e literalmente, espaço e tempo. Um sinal de grandes dimensões pintado em contraplacado pode assemelhar-se a um outdoor como aqueles que vemos na berma de uma autoestrada, mas nele está escrita a palavra “FOREVER” feita de forma a aparecer e desaparecer entre o nevoeiro. Um neon com luz intermitente a lembrar os neons que vemos em bares diz “You are on an island”, mas quando a partícula “on” se desliga temporariamente, a frase passa a dizer igualmente: “You are an island“. Alicia Eggert integra as suas esculturas em paisagens e ambientes arquitectónicos de forma a documentá-los com imagens e videos lenticulares. Este tipo de documentação ilustra a forma como o significado subjacente ao trabalho se altera com o tempo e em diferentes contextos. O seu uso do tempo enquanto meio escultural é uma tentativa de compreender a natureza finita e linear da sua própria vida dentro de um universo aparentemente infinito. Os sinais e os prodígios / maravilhas destacados no trabalho da Alicia Eggert não são acontecimentos extraordinários ou proclamações proféticas. São, pelo contrário, realidades diárias explicadas pela ciência e familiares a todos nós, mas nunca deixando de inspirar o referido deslumbramento. O seu trabalho em neon “The Sun”, reflecte esta ideia simples dizendo “The sun doesn’t go down, it’s just an illusion caused by the world spinning round”. Alicia Eggert’s work is immediately noted by two aspects: actuality and irony. The actuality is reached by the use of strong and noble materials and by the connection between word and image. In the artist’s hands the former becomes the second. The word does not explain the image and the image does not illustrate the word. What we can see on the artist work is something that we can relate with, for instance, Barbara Kruger’s work: the word becomes visual and not only significance. The irony on Alicia Eggert’s works, on the other hand, is reached through the surprise effect caused on the viewer. The surprise is possible only through processes to which the work of art is subdue (light on a certain detail, turn on/off part of the light that constitutes a work…) and that make, at the end, the word to deny or affirme what the rest the work proposes. To all this we add the movement - which is partially explained by the inputs refered and refers to the pass of time in a way that could be more or less immediate and that we can see in works like “Eternity”, “Pulse Machine” or “Now”. To the exhibition ”Signs and Wonders”, Alicia Eggert chose works that are related with the space of Galeria Fernando Santos, but that are also paradigmatic of the time we’re linving in (at a political, social and psicological level). WThe works talk about narcissism of the social media; the constant restlessness caused by the “off line”, the anguish of silence by opposition to the noise of the dialogue (although that dialogue is infact a monologue). por oposição ao ruído do diálogo, mesmo que esse diálogo seja um monólogo. Os tons feéricos das suas esculturas de parede corroboram a velocidade autofágica e actual do mundo da Arte. The vibrant colors of the wall sculptures affirm the autophagic speed of the Art world.